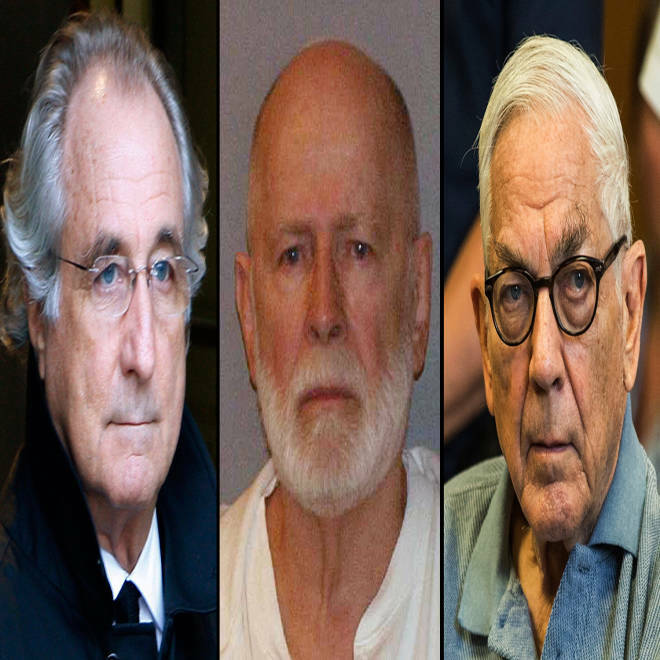 Bernard "Bernie" Madoff, James "Whitey" Bulger" and Anthony Marshall -- three high-profile defendants who stand to spend their twilight years behind bars. The 89-year-old son of late philanthropist and socialite Brooke Astor became the oldest person ever hauled off to New York prison for a non-violent crime last Friday, four years after he was convicted of plundering his mother's massive fortune. Apparently too frail to stand, Anthony Marshall was pushed to his jail cell in a wheelchair trailed by an oxygen tank. A pillar of Upper East Side privilege had become a monument to age and infirmity. Marshall now joins the ranks of other high-profile, graying defendants – including accused former mobster James “Whitey” Bulger and convicted financial fraudster Bernard "Bernie" Madoff – who stand to spend their twilight years behind bars. And they’re by no means alone: Prisoners older than 55 make up the single fastest-growing segment of the U.S. prison community – a largely invisible shadow population. The number of elderly Americans doing hard time is swelling at a staggering rate and will only continue to balloon, researchers say. An estimated 246,000 convicts above age 50 were in jail cells across the country last year, according to a June 2012 American Civil Liberties report. By the year 2030, there will be upward of 400,000 elderly prisoners — nearly a third of the projected total penal population, said Inimai Chettiar, a director at the Brennan Center for Justice at NYU School of Law and the co-author of the ACLU report. “The number of elderly prisoners has absolutely exploded,” Chettiar said, adding that stringent sentencing policies and “overcriminalization” of historically low-priority offenses are to blame. Marshall, for example, could have been slapped with house arrest or probation instead of the one- to three-year mandatory minimum sentence he received, she said. The expenditures associated with keeping elderly prisoners behind bars puts a significant strain on state and federal resources, with taxpayers bearing most of the burden, said David Fathi, the director of the ACLU’s National Prison Project. State and federal prisons spend an estimated $16 billion taxpayer dollars a year keeping elderly convicts in the clink, Fathi said. Nearly a quarter of that price tag – roughly $3 billion taxpayer dollars annually – is devoted to providing health care to sick or drying prisoners. In Georgia, prisoners age 65 and older command an annual average medical care cost of $8,565 -- a huge leap from the annual average of $961 for inmates under age 65, according to a report by the Human Rights Watch. In North Carolina, the price tag on medical care for elderly prisoners is four times higher than the cost of the same care for prisoners younger than 50, according to the ACLU report -- an inequality that may expand as baby boomers behind bars grey. In Michigan, health care for inmates age 80 and older costs prisons as much as $40,000 per person, according to the Human Rights Watch report -- nearly the cost of a year of private college tuition. An inmate patient is shown in his cell at the California Medical Facility (CMF) in Vacaville, Calif., on March 17, 2010. CMF was established to provide a centrally located medical and psychiatric institution for the health care needs of California's male felon population. Although most elderly individuals are struck by poor health in their final years, prisoners are generally more predisposed to chronic medical conditions than the average person, which accounts for the great disparity in expenditures, said Tina Maschi, a Fordham University professor who has studied New Jersey’s aging prison population. Americans convicted of crimes and sent off to serve hard time are far more likely to have had limited access to quality health care earlier in life. They’re also more likely to have abused narcotics and alcohol, Maschi said. Studies have found that the average 50-year-old prisoner’s body has deteriorated more rapidly than that of the average 50-year-old non-convict, Maschi said. That’s why many states classify an inmate as “elderly” if he or she has reached at least age 50. The physical and psychological hardships of prison life tend to compound pre-existing conditions, intensifying the ravages of old age, according to Maschi. “Prison life is incredibly stressful,” Maschi said, explaining that jailhouse violence, confinement, and the emotional consequences of isolation and victimization all conspire to weaken prisoners’ bodies and minds. Chettiar said that certain conditions common to the elderly – from hearing loss and vision impairment to cardiac issues and dementia – are particularly common in U.S. prisons, slightly exceeding the national diagnostic average. "Prisons exacerbate the health problems that come with age," Chettiar said. As state and federal prisons scramble to cope with the logistical and financial demands of the swelling elderly prison population, certain advocacy groups and political organizations have proposed potential palliatives to the crisis. Some jurisdictions have attempted to bring down the size of penal populations by allowing low-risk older prisoners to seek parole if they are deemed to pose a negligible threat, Fathi said. For instance, Louisiana's state legislature in 2011 passed a law granting certain aging prisoners access to a parole hearing if a committee judges them fit for reintegration into society-at-large. The statute won praise from the ACLU, which has since lobbied other jurisdictions to consider similar measures. "The risk of re-offense is much lower" above the age of 50, Fathi said. "Elderly prisoners are generally past their crime-prone years." Opponents of early-release programs, including some victims' advocacy groups, have pushed back against this claim. "There are many criminals, especially violent criminals, for whom recidivism rates are very high and the propensity for reoffending is very high," said Kristy Dyroff, the director of communications for the National Organization for Victim Assistance. "Our first priority is that victims are protected. It may be reasonable for a non-violent offender to be paroled, but when there's a possibility of violent re-offense, then we don't support that," Dyroff said. Dyroff added that reopening old cases can also reopen old wounds. "Once a case has been adjudicated, it's often a re-victimization for victims to have to go back to parole hearings again and again," she said. Although the ACLU's Fathi recognized that many older prisoners should not be eligible for an early reprieve, he said that a "cost-benefit analysis" of the exploding elderly prison population demands action. "We can't keep everyone locked up forever," he said.